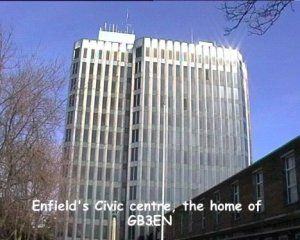 GB3EN is located in Enfield, which used to be in Middlesex but apparently now is in Greater London. 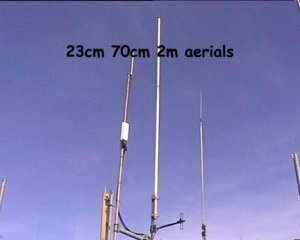 The site is at QTH locator IO91xp, NGR TQ328968, ITU region 1. 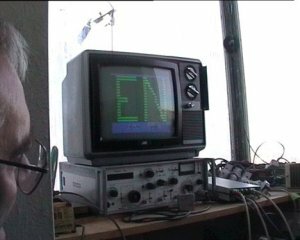 The GB3EN ATV Repeater became operational on 13 March 1999. 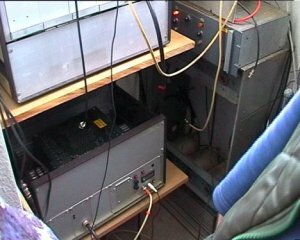 The first two-way contact through the repeater was between Les (G4GYP) in Cheshunt and Andrew (G8FSL) in Southgate. For its first birthday, GB3EN was given a quick wash and brush up prior to the Picketts Lock Show. Duncan G7VVF got to have a go on site with his new camera, hence the flashy pictures on this site. 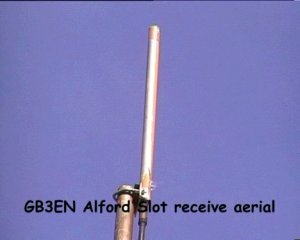 GB3EN transmits on 1310MHz, and receives on 1249MHz. 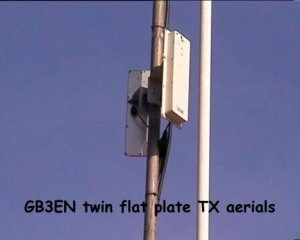 Two antennas are used to put a notch in the radiation pattern in the direction of Heathrow Airport.